‘When to start finger foods?’ That is one of the big questions parents ask once they have started solids with their baby. 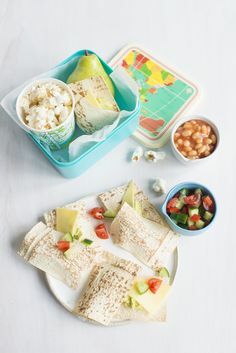 Starting finger foods early in your child’s solids journey has countless benefits for their oral motor development necessary for learning how to eat and for the development of speech. Food exploration is all about learning to eat – a process that takes around 2-3 years. From around 4 months, even before starting solids, babies love to explore their mouths with various objects. This is their way of learning. 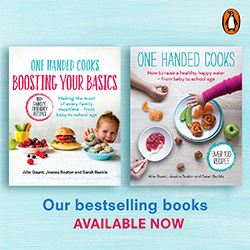 So by serving finger foods alongside their baby purees it is a great opportunity for them to learn about food – the look, the touch, the smell and the taste. They will love being independent, trying to feed themselves and they can poke, touch, press, move, smell and taste the food without any pressure to eat it. Remember at this early stage, it is not about how much they eat but the food experience and development of oral skills. Keep offering it again and again and one day it will end up in their mouth. Finger foods promote the development of jaw strength and as well as the development of the tongue movement from a forward backwards/suckling motion to a side-to-side movement. This allows the tongue to move food to the back molars in order to chew food efficiently. Newborns are born with a very sensitive gag reflex and this starts to desensitise and move further back in their mouths as they begin their oral exploration journey with objects and the introduction of solids. 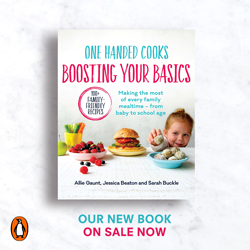 Meals involve more than just taste but a combination of all the senses (sight, touch, movement, smell, hearing and balance/sitting on a highchair) so your baby is not only learning about tasting food but also processing and brain mapping all the sensory signals involved with food as well. Develops their self feeding skills and fine motor skills. Simple finger foods can be introduced as early as 7 months of age. At this age their tongue lateralization and up-down jaw movements are beginning to develop and they will begin to manage small lumps and bumps in their pureed food more efficiently. 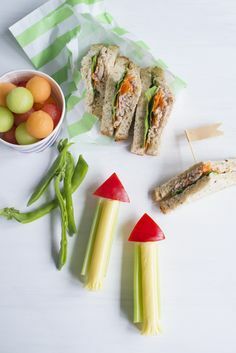 As your baby’s eating develops, you can start to experiment more and more with different types of soft stick-shaped finger foods that they will enjoy grasping and gumming on. Choose a range of brightly coloured fruits and vegetables of all shapes and sizes. Around 9 months of age your baby will develop more precise hand control, this is a great time to encourage them to feed themselves. It is important to note that when starting finger foods babies should always be supervised and never be left alone to eat, nor should they eat while wandering around as this may increase their choking risk. This article was kindly reviewed by Valerie Gent, a Certified Practising Speech Pathologist with over 10 years of experience. She is the principal of ‘Let’s Eat! Paediatric Speech Pathology’, a specialised private feeding service for babies, toddlers and children with feeding difficulties, in Newcastle, NSW. You can find her on Facebook. Valerie is also a member of ‘Little Foodies Feeding Team’ – a team of very experienced therapists trained in the SOS (sequential-oral-sensory) feeding protocol. Disclaimer: This information is intended for general use only. It does not constitute medical advice and is not intended to replace the personalised care and advice given to you by your health professional team. You as the reader/parent/caregiver must always discuss any concerns or questions about the health and well being of your baby or toddler with a healthcare professional. Please refer to our full disclaimer here.